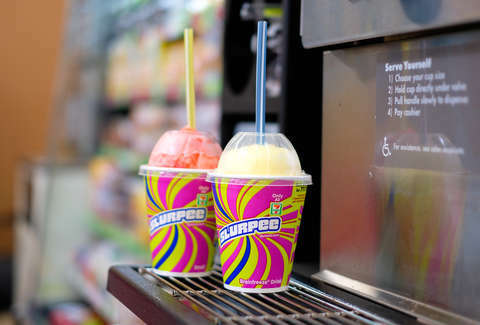 For its 91st anniversary, the convenience store will let you drop in and pick up a free small Slurpee from 11am to 7pm (local time). Even better, the new flavor available on 7-Eleven Day is a ridiculous breakfast throwback. The featured flavor is Cap'n Crunch's Crunch Berries, which is only available for a limited time. You can try it for free, and it won't even cut the roof of your mouth. If you're hungry, you can pair your free Slurpee with $1 Big Bite hot dogs, according to a press release. Then, 7-Eleven will celebrate inching one year closer to its centennial with freebies for all of its 7Rewards members all week long. "Members" makes it sound more complicated than it is. Download the store's free mobile app via the App Store or Google Play, and you've just become a member. July 15: Free Reese's with the purchase of a share-size bag of 7-Select gummies.